London, 18 November: The Global Warming Policy Forum today welcomed the Government’s reset of Britain’s energy and climate policy as a big step in the right direction. 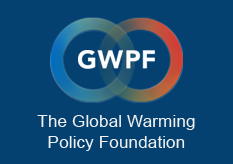 The GWPF applauds Amber Rudd’s explicit intention to return to Lord Lawson’s market approach of the early 1980s in order to ensure that the supply of energy the UK needs is available at the lowest practicable cost. “In a strong signal to the British public and the forthcoming UN climate conference in Paris the Government has announced it will from now on prioritise energy security and affordability of energy over the climate agenda. “We certainly welcome the Government’s announcement that the proposed phase-out of unabated coal plants in 10 years time will be conditional on whether the intended shift to new gas plants can be achieved within this time,” he added.